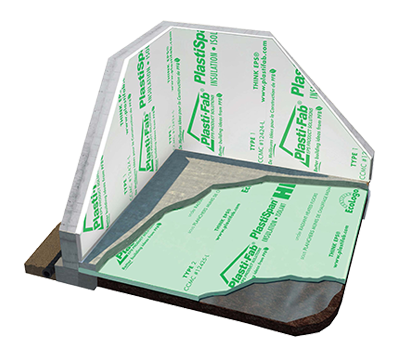 Continuous insulation under your slab eliminates thermal bridging, increasing your total effective RSI/R-value. This reduces energy costs and increases your energy savings. © Advantage ICF. All Rights Reserved. Unauthorized Use Prohibited.